So lovely that you are able to live in a home until your new one becomes one!! What a great selection of photos. 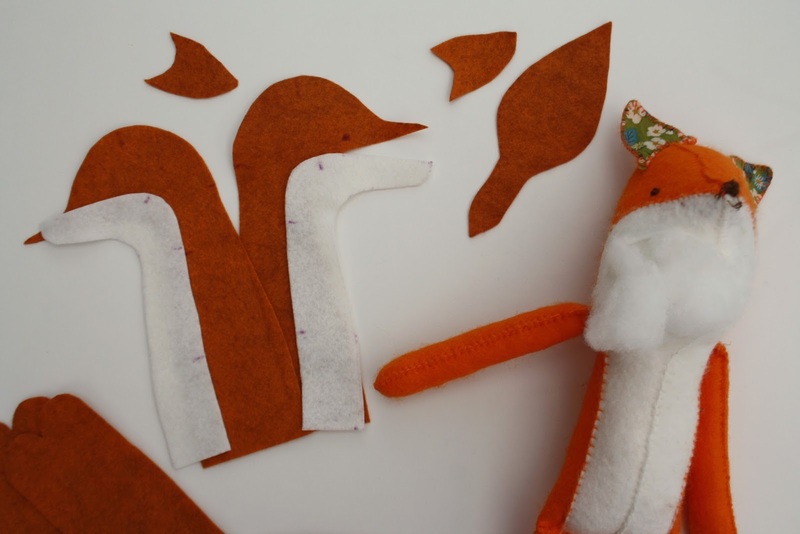 I love the fox, it will look great made out of proper felt! I love the idea of crocheting a market bag out of string, I'll have to remember that one. I hope all the DIY goes well, it will be lovely when you can move into your new happy home!! That is a lovely large sitting room! Oh, to be a child and scoot around like that. Utter bliss! Wonderful stuff. Love seeing the kids scoot indoors. Ooooh, that pasty made my mouth water, I shouldn't have looked whilst I was hungry. Love the idea of the crochet shopping bag. Your children seem to be having great fun in their new surroundings. Cornish pasty, yum! Love those. And I know what you mean about acrylic felt. Wool is so much nicer. Scooting indoors, what a novel idea! I'm sure Bella has very firm ideas of what she'd like, she has a very good eye. Porchester Castle is very much on our to visit list this year. We were going to go last year but it never happened for one reason or another, it's going to happen this year! Look forward to seeing your finished string bag. Have a good week! 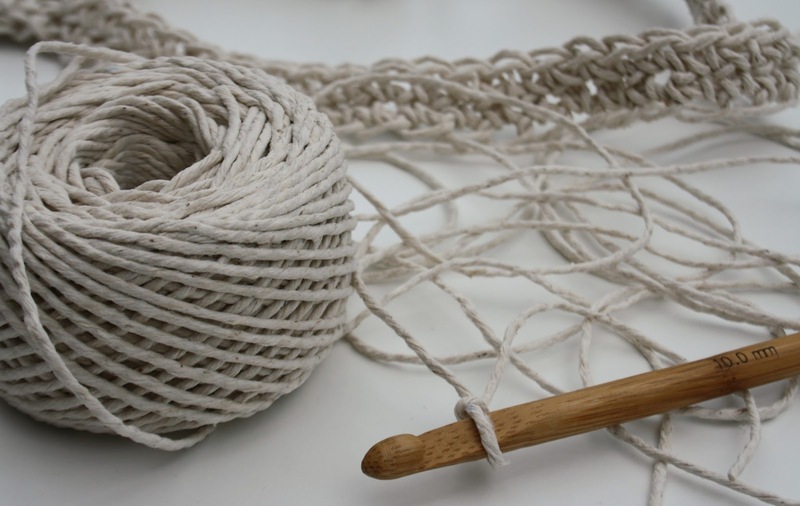 I love the idea of the string bag but is it hard on your hands to crochet string? Home-made pasties for our supper tonight after seeing your post. I'll make a batch for the freezer too. Love your photos this week. I so wished we lived closer to the sea. Can't wait to see your new home when you are all settled. Brilliant! I've started crocheting a basket with twine - haven't got too far yet! Seven days of good things...I like it! Congratulations on the new house! How exciting and I bet the kids just loved being allowed to scooter around indoors. Sounds pretty busy! 😊 i always want to try crochet with yute but i haven t tried it yet. Does the yarn hurt on the hands? Love it! The kids must be having so much fun taking wallpaper off, painting etc.. and scooting indoors!! All that going on and you're making a fox as well...... Anyhoo, if I bring my scooter down can I have a go? What am I saying, I don't have a scooter, but if I had your house I might just go and get one. But will they always be able to scoot around the lounge, that is the question? You have really seemed to have settled into your new surroundings and you are discovering some lovely things. All very exciting! Such lovely photos from the past seven days! My daughter would be crazy for the Minnie Mouse wall! I can't wait to see how Bella decorates her new room. I love the morning light photos at your Mum's house. I also love her pretty tablecloth! Making me smile this morning. I'm a bit late commenting, (we've been away), but those pics were great, showing what goes on, in ones week. Hope the house decorating is turning out OK. Take care. Thanks for sharing the last seven days with us. It must be exciting to have begun remodeling. I can't believe you have daffodils already! It looks like you are having such a great time and making this experience such a great one for you and your family. It will be great to decorate and make your new house your home. When will you be moving into your new home. We just moved in about 7 months ago and we still have so much to do ... Taking baby steps make the journey better and more enjoyable I find out ... Hope you are enjoying your journey my friend.